Headlines, hot news, and conversation starters on January 12, 2018! 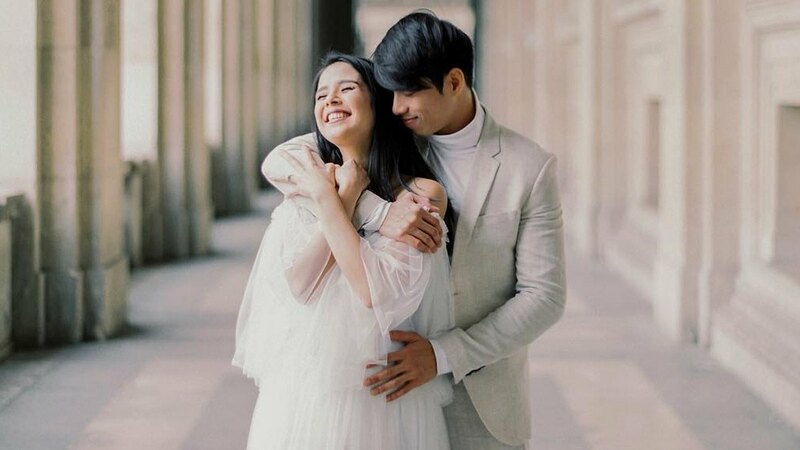 On January 11, Maxene Magalona and Robbie Mananquil tied the knot at the Shangri-La's Boracay Resort. Standing before their closest family and friends, Max and Rob exchanged emotional vows that had us ugly crying. Here are some of our favorite parts. "We live in a world of judgmental people, discrimination, and bullying, but I promise you, I will never let that happen to you. They say 'life is an echo' and all I wish to echo to you is my support, care, and love. I promise to never make you feel alone, abandoned, or left out...You cannot imagine the amount of joy you have sparked into my life, and for that, I'm forever grateful to you and to God." "I was a broken and aimless person, but your love and daily devotion gave me so much reason and direction. Through you, I have found so much purpose, and that purpose has been my compass to discovering the depths of my heart. You showed me how easy and natural love should be. You never asked me once to change anything about myself. You allowed love to speak its beautiful language. You showed me its true meaning...There isn't a day that goes by when I don't wish that you had met my dad. If he [were] here today, I just know how much he would love you." To read their complete vows, visit PEP.ph. Her latest film, Ang Dalawang Mrs Reyes, will be out on January 17, 2018. Kendall Jenner fronts the cover of Harper's Bazaar's February issue, and she was interviewed by one of her closest friends, Cara Delevingne. During the interview, the two models discussed having kids some day. Cara asked Kendall, "When you have children—because I know you're going to have loads—how will you feel if one of them wants to go into fashion and become famous like their mom? Will you let them have access to social media?" In case you haven't heard the great news, Wil Dasovich is officially done with chemo. He made the announcement on a vlog posted last January 7.